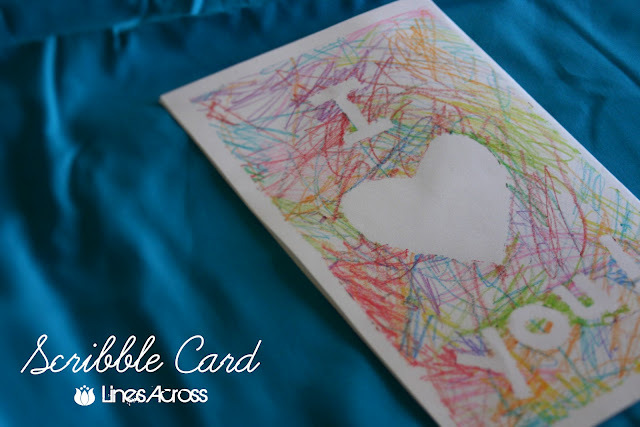 A few days ago I posted about how to make a Scribble Bow and today I have come across a do it yourself card that will match it perfectly. 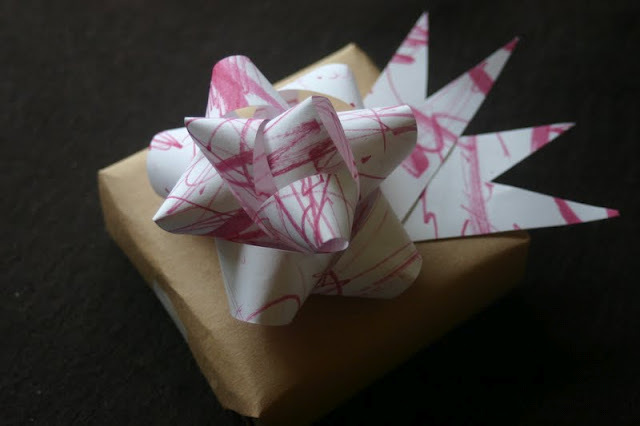 I think this card and bow would be great for children to do to wrap their friends birthday pressies up in, they could even make their own wrapping paper by using the same methods and have it all matching! Read Scribble Bow Post here!